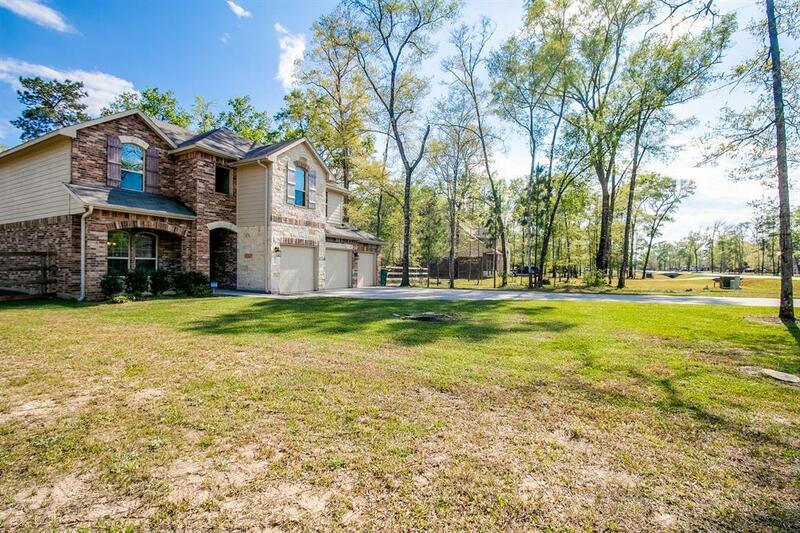 DR Horton four bedroom on 1.5 acre lot! Quiet country living in Montgomery County with beautiful brick/stone exterior, stacked three car garage and dramatic covered entrance. 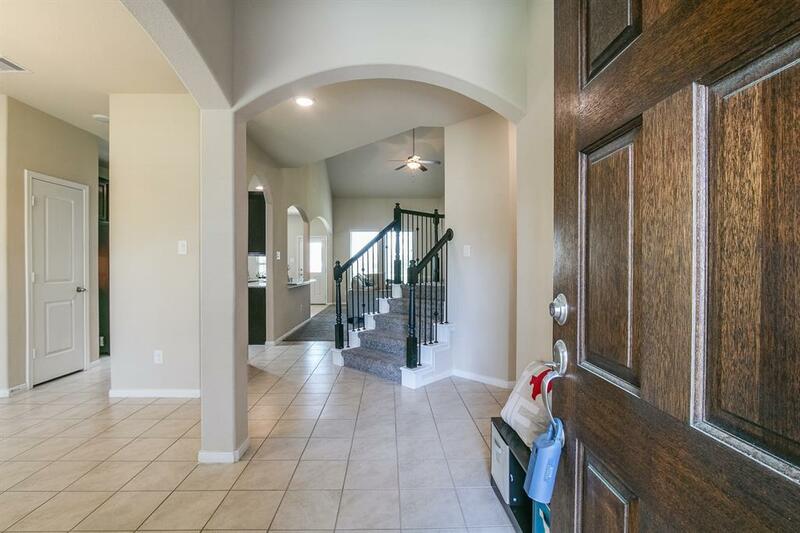 Upgraded open floor plan with 3.5 baths, extended grand foyer with stunning grand staircase and formal dining. Lovely, well planned kitchen with recessed lighting, breakfast bar and separate dining area overlooking the spacious den with cast stone fireplace. Stainless appliances, arched doorways and granite counters add character and sparkle to the cooks space and the owner has added natural gas for convenience. The Owners suite is downstairs for privacy and features a large soaker tub and seamless glass enclosed separate shower and large walk in closet. 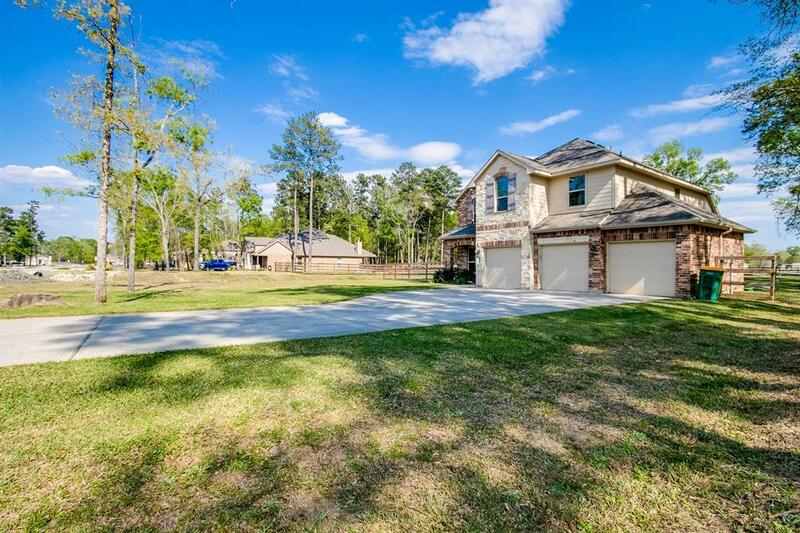 Large Game room, secondary bedrooms, and two full baths share the upstairs. A covered patio overlooks the massive backyard with much potential and room for a pool. 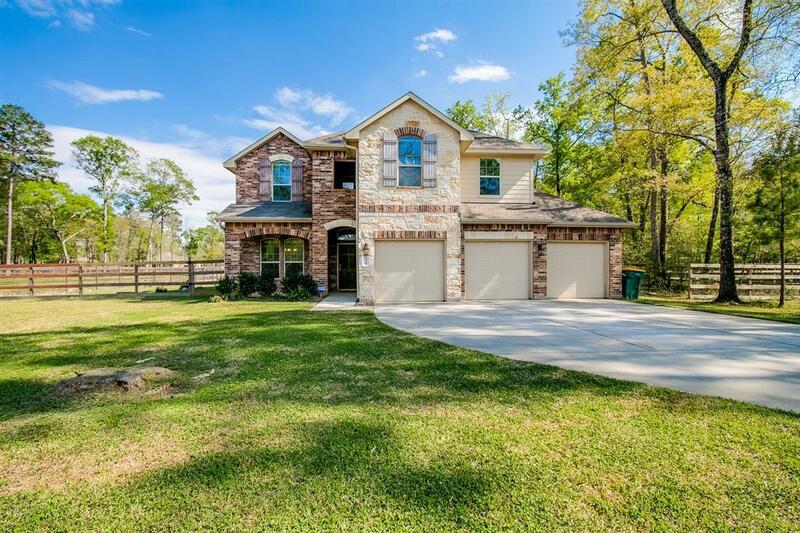 View this wonderful home today!